Kathryn Elizabeth Kinslow was born July 30, 1917. She went home to her Lord and Savior on March 21, 2019. 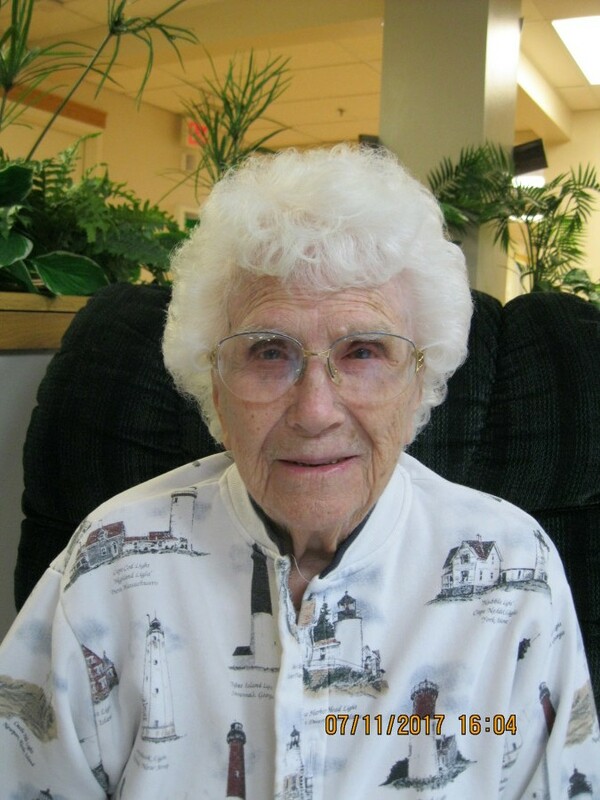 She was only four months shy of becoming 102 years old. She is preceded in death by her parents, brother Earl, sister Earlene and her husband Bill. Kathryn is survived by her son Earl (Judy) Kinslow, six grandchildren, 16 great grandchildren and one great great granddaughter. For those who wish to honor Kathryn and rejoice in her love of our Savior, a memorial service for Kathryn will be held on Saturday, April 6 at Friendship Baptist Church, 265 Van Noy Parkway in Thayne, Wyoming. The service will begin at 1:00 p.m. Kathryn’s body has been laid to rest with her husband in the Mt. View Cemetery in San Bernardino, California.